Tune your DVR's or find a tube on New Years Eve to watch Green Day perform on the NBC's New Year's Eve with Carson Daly. 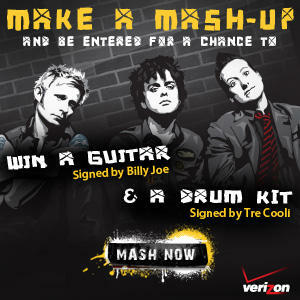 Make a mash-up at http://www.gdconcerts.com/ and be entered for a chance to win a guitar signed by BILLIE JOE and a drum kit signed by TRE COOL! Once you make it and save it you'll get an exclusive Green Day ringtone offer too. The Frontier Touring Company regret to advise that a sudden illness has struck down Green Day lead singer Billie-Joe Armstrong (food poisoning is suspected). Although Billie-Joe was determined to perform tonight it became apparent at 4.30pm today that he would be unable to take to the stage - particularly in light of the lengthy 2.5-3 hour show the band traditionally perform. Tonight's concert will be rescheduled to tomorrow night - Wednesday 16 December. All tickets remain valid and as allocated and do not need to be exchanged. If a patron is unable to attend tomorrow night they are advised to seek a refund immediately from their original point of purchase. During last nights Video Game Awards it was announced that the team that brought us The Beatles: Rock Band will be bringing Green Day: Rock Band to us next year. Unlike The Beatles: Rock Band, all Green Day tracks from the standalone disc will be exportable to Rock Band and Rock Band 2. Similar to The Beatles edition Greenday: Rock Band will feature the entire band and their likeness and also have art and venues critical to their career. GreenDay.com just announced GREEN DAY AT ROCK WERCHTER 2010!!! 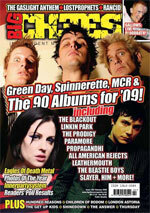 The new issue of Big Cheese is a bumper double issue and features Green Day on the cover, amongst 2009's other biggest bands. They're doing a pre-order special offer for 3 free CDs, Big Cheese stickers and a Green Day/Paramore postermag absolutely free! PRE-ORDER NOW AND RECEIVE THREE FREE CDS, BIG CHEESE STICKERS AND A POSTERMAG ABSOLUTELY FREE! BAND SWEEP THE ROCK CATEGORY WITH NODS FOR "BEST ROCK ALBUM," "BEST ROCK SONG," AND "BEST ROCK PERFORMANCE BY A DUO OR GROUP WITH VOCALS"
December 3rd, 2009 - Burbank, CA - Reprise Records' artists Green Day were nominated for three 2010 Grammy Awards today, including two for their single "21 Guns ("Best Rock Song" and "Best Rock Performance By A Duo Or Group With Vocals") and for their gold-certified album 21st Century Breakdown, which was nominated for "Best Rock Album." Over the course of their 22-year career, Green Day have been nominated for 15 Grammy Awards, and have won three: Rock Album of the Year for their blockbuster 2004 album American Idiot, Record of the Year for the American Idiot single "Boulevard of Broken Dreams," and Best Alternative Music Performance for their Diamond-certified 1993 album Dookie. Green Day is 2009's No. 1 artist at both Alternative and all Rock radio formats combined, including spins of current and recurrent catalog songs, according to Mediabase's Year to Date charts. As of November 30th, Green Day has earned 195,905 spins at Alternative radio and 1,376,385 spins at all Rock formats combined. The top five Green Day tracks spun at Rock radio in 2009 are two singles from the 21st Century Breakdown: "Know Your Enemy" (75,907 spins) and "21 Guns," (51,666 spins), followed by "When I Come Around" (34,495 spins), "Brain Stew" (33,702 spins), and "Longview" (28,914 spins). Green Day have also been nominated for a 2010 People's Choice Award for "Favorite Rock Band." 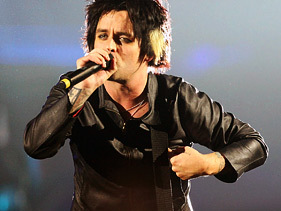 In September, the band, which is singer-guitarist Billie Joe Armstrong, bassist Mike Dirnt, and drummer Tre Cool, took home three 2009 MTV Video Music Awards for "21" Guns," winning all three categories in which the clip was nominated: "Best Rock Video," "Best Cinematography," and "Best Direction." On November 5th, Green Day performed at the 2009 MTV Europe Music Awards in Berlin. The band was nominated for three awards, "Best Live Act," "Best Group," and "Best Rock," and took home the award for "Best Rock." They also won an American Music Award in November for Favorite Alternative Rock Music Artist. Congratulations to Green Day who were nominated for 3 Grammy Awards! 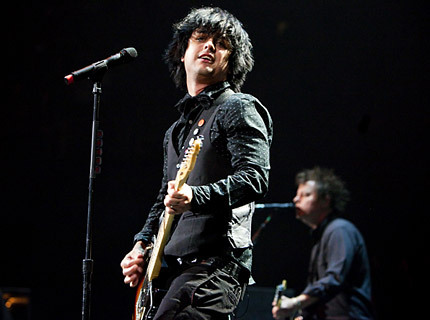 BURBANK, Calif. - (Business Wire) Multi-platinum rock band Green Day globally premiere a brand-new version of their platinum-selling single -21 Guns- on http://www.spinner.com/aolmusic on Thursday, December 3rd. The song will ship to all radio formats on Friday, December 4th. This new version of the track features the band performing with the cast of American Idiot - the critically acclaimed stage version of Green Day's chart-topping 2004 album that just completed a record-breaking three-month run at The Berkeley Repertory Theatre. Newly arranged by Tom Kitt, who is credited with the show's arrangements and musical supervision, recorded at Green Day's studio in Oakland, CA, and produced by singer and guitarist Billie Joe Armstrong. It will be available for purchase from all digital service providers on December 22nd. Prominently featured on the track are American Idiot cast members John Gallagher, Jr., who won a Tony Award in 2007 for Spring Awakening, Matt Kaplan, Michael Esper, Rebecca Naomi Jones (Passing Strange), Christina Sajous, and Mary Faber. 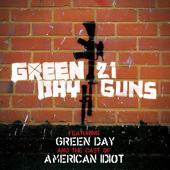 Though the bulk of the songs in the musical are taken from American Idiot, four songs from the band's current gold album 21st Century Breakdown, including -21 Guns,- are featured in the show. 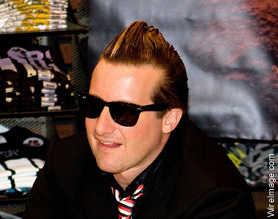 Green Day, which also includes bassist Mike Dirnt and drummer Tre Cool, had cameras rolling in the studio while they recorded the track and plan to release an accompanying video. More details on that will follow shortly. 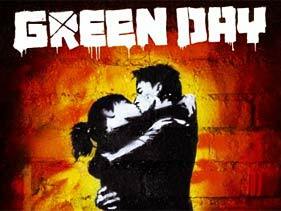 -21 Guns- is the second single from Green Day's gold album 21st Century Breakdown. The digital version of the track has sold more than one million downloads, while the video won three 2009 MTV Video Music Awards in September, including -Best Rock Video.- The band recently completed a sold-out European tour and took home their second American Music Award for -Favorite Alternative Music Artist- in November. They will perform on NBC's New Year's Eve with Carson Daly on December 31st. The band is currently on tour in Australia and New Zealand. Vote for Green Day as your song of the decade on AbsoluteRadio.co.uk: HERE. Vote for Green Day as song of the decade on Xfm.co.uk: HERE. BURBANK, Calif.--(BUSINESS WIRE)--Multi-platinum rock band Green Day took home the award for Favorite Alternative Rock Music Artist last night at the 2009 American Music Awards. This is the Bay Area band's second win in this category, having earned the same honor in 2005. Green Day, which is singer guitarist Billie Joe Armstrong, bassist Mike Dirnt, and drummer Tre Cool, also won three 2009 MTV Video Music Awards in September, including "Best Rock Video," for the video for their platinum single "21 Guns," which the band performed on the AMA telecast last night. "21 Guns" is the second single from the band's eighth studio album 21st Century Breakdown, which debuted at No. 1 on the Billboard Top 200 chart, as well as on the Rock, Active Rock, and Alternative charts. 21st Century Breakdown, which Rolling Stone has called "a rock opera in which the rock always comes first," also topped the charts in 24 countries including the UK, Canada, and Japan. The 2009 American Music Awards will be broadcast live TONIGHT at 8/7c on ABC. Don't miss Green Day's performance! November 19, 2009 - Burbank, CA - Multi-platinum rock band Green Day are in the studio this week recording a new version of their hit single "21 Guns" with the cast of American Idiot - the critically acclaimed stage version of the band's 2004 album that has been playing at Berkeley Rep since early September. The band's singer and guitarist Billie Joe Armstrong is producing the track, which will impact radio at the end of November and be made available for purchase through all digital retailers. Green Day, which also includes bassist Mike Dirnt and drummer Tre Cool, are shooting a video for "21 Guns" with the American Idiot cast. American Idiot premiered at Berkeley Rep on September 4th and was extended through to November 15th due to record-breaking sales and unprecedented demand for seats. Called "the hottest fall theatre ticket," by the San Jose Mercury News, American Idiot brought Green Day's blockbuster album to life in a show staged by Tony Award-winning director Michael Mayer (Spring Awakening), who collaborated with Armstrong on the story. 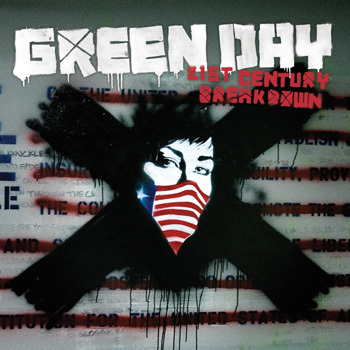 "21 Guns" is the second single from Green Day's gold album 21st Century Breakdown. The digital version of the track has gone platinum, selling more than one million downloads, while the video won three 2009 MTV Video Music Awards in September, including "Best Rock Video." The band recently completed a sold out European Tour and will next appear on the American Music Awards on November 22nd, followed by NBC's New Year's Eve with Carson Daly on December 31st. Vote Green Day best live act ever at NME: here. Green Day Down Under @ Brisbane Times: here. Chick Hearn Ave @ Staples Center will be shut down for this massive FREE Concert. You can arrive and hang out in the vicinity without tickets but that does not ensure a view to the stage or big screens. TO GET TICKETS FOR ENTRY TO NOKIA PLAZA STAGE AREA CLICK HERE. NBC and 1iota.com are looking for thousands of diehard Green Day fans to be a part of a special live Green Day Mini-Concert taking place at the plaza at LA Live in downtown Los Angeles, CA on November 23rd. We will be performing several songs that night! This is an "invite only" event. Tickets are FREE. If you want to request your FREE Green Day tickets, visit www.1iota.com. We are expecting thousands in attendance that night so act quickly and request your FREE tickets today! Vote Green Day for People' Choice Favorite Rock Band! For a limited time, you can get an exclusive live version of "Know Your Enemy" recorded live in Tokyo through Google. To find it just search "Green Day" in Google and click on the first link that comes up! Try it : HERE! Green Day, Shakira, Mary J. Blige To Perform At American Music Awards @ MTV: here! VOTE FOR GREEN DAY NOW! The Foxboro Hot Tubs will be rocking the Garage in London on Sunday at 12:30am right after Green Day's performance at Wembley Arena. 20 pounds at the door, first come first serve. More details to come..
Green Day red hot at the LG Arena @ The Star: here. A performance by Green Day is not just a concert, it's a theatrical masterpiece. Filled with costume changes, pyrotechnics and crowd-pleasing interactions, Billie Joe Armstrong and the boys really know how to put on a show. Opening with the latest album's self-titled hit, 21st Century Breakdown, the explosive beginning was merely the start of things to come. Sporting a new bleached hairstyle, Billie Joe soon got the blood pumping with a stream of powerhouse tunes from the new album before taking the crowd effortlessly into an extensive back catalogue of mega hits, such as Basket Case and Brain Stew. Playing up to the audience is a joy for these performers their interaction and on-stage capers are a big part of the appeal. As the punk rock trio experimented with feather boas, police costumes and drag outfits, audience members were soon in on the act, as one lucky man was invited to sing Longview live on stage to the envy of everyone watching. There was also a nod to the venue's location, with the band belting out Black Sabbath's Paranoid. Other well chosen covers included Teenage Kicks by The Undertones, AC/DC's Highway to Hell and, ahem, Lulu's Shout, which shouldn't have worked but most certainly did. Billie Joe clearly relishes his role of frontman, getting the capacity crowd whipped up into a frenzy by a simple prop or snippet of a much-loved guitar riff. The band's obvious musical virtuosity is never overshadowed by high jinks, as Billie Joe's solo encore proved, with lighters, cameras and mobile phones thrust into the air to stirring renditions of Good Riddance (Time of Your Life) and the suitably poignant When September Ends. Openings: Green Day - "The Art of Rock" @ StolenSpace @ Arrested Motion: here. Help Green Day become an official nominee for PEOPLE'S CHOICE AWARDS 2010. Fans now have the power to determine the nominees for the annual awards show. Visit PeoplesChoice.com and ensure Green Day makes the cut to be a nominee! The top five nominees in each category will be revealed at the People's Choice Awards annual press conference on November 10, 2009. Only those announced on November 10th have the chance to win a People's Choice Award on January 6th, 2010. 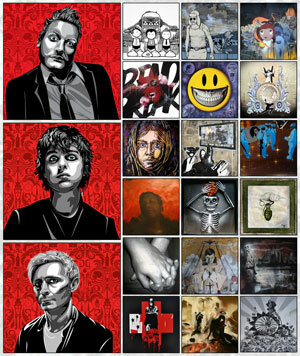 Compare and contrast-Slammin with Green Day and various artists @ ArtDesignCafe.com: HERE. "21st Century Breakdown" now available at here! Video Premiere: Green Day's '21st Century Breakdown' @ Aceshowbiz: here. Look for the video to be on iTunes tomorrow! 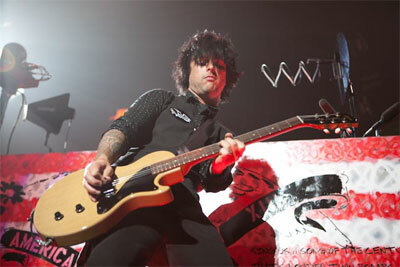 GreenDay.com just posted new photos from Saturday's gig in Belgium: here. Weekly Ink: Got Tattooed With Green Day @ SF Weekly: here. Jackie Chan's new movie, "The Spy Next Door" features Green Day's "Know Your Enemy"
Congratulations to Green Day, "21 Guns" has been certified gold by the RIAA in digital sales. 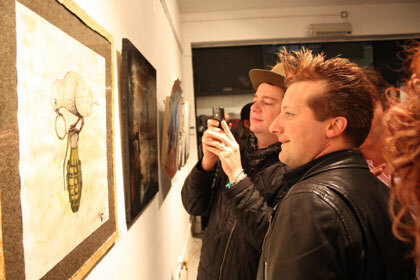 Green Day art comes to Shoreditch @ Digital Arts UK: here. GreenDay.com just posted new photos from Cologne, Berlin, and Hamburg: here! Green Day's "Murder City" will be featured in the new video game, Tony Hawk Ride, scheduled to be released November 17th, 2009. GreenDay.com just posted new photos from Toulouse and Paris, France: here! The 2009 mtvU Woodie Awards will simulcast on MTV, MTV2 and mtvU for the first time this year on December 4th at 10pm. All winners are determined via online voting, starting today. Green Day is nominated for the "Best Performing Woodie". Fans can go here to vote! 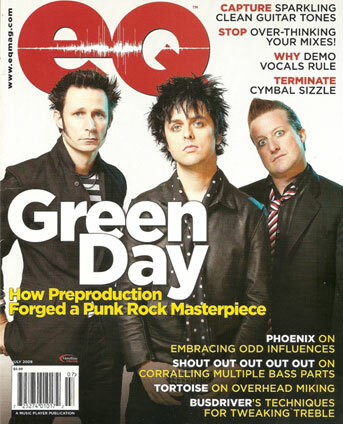 Look for a Green Day spread in the new issue of Q Magazine. Check out the new October issue of Big Cheese! Check out the new artwork for the next single! Green Day Are 'Beyond Satisfied' With 'American Idiot' Musical @ MTV: here. 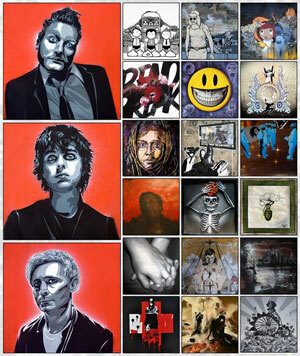 Internationally renowned band, Green Day has commissioned 21 original pieces of art inspired by music from the band's most recent album release, 21st Century Breakdown. The paintings will be shown exclusively at the StolenSpace Gallery in Shoreditch, East London from 22nd of October until 1st of November to coincide with Green Day's sold out UK concert tour and opening the day before the band's two sold-out performances at the O2 Arena in London. The band, who have sold over 60 million albums world-wide, feel that art and music share a common bond. 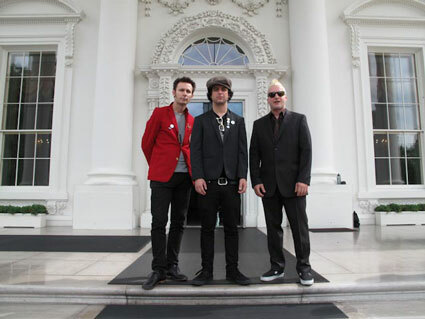 "We're really excited to be associated with this incredible show," Green Day front-man Billie Joe Armstrong said. "Seeing the pieces that our new album has inspired is very exciting. We feel a strong connection to that type of creative expression; we think the fans coming out will love it." The show's curator, artist, Logan Hicks, said that the gallery will feature contributions from an international pool of artisans, such as world renowned New York-based painter Ron English, Amsterdam-based street artists The London Police, French stencil artist C215, British illustrator Will Barras along with artists Eelus, Chris Stain, Sixten, Adam 5100 and more. Each of the collaborating artists were each sent through a lyric sheet and asked to produce a piece of art that reflected that song, to highlight the connection between music and art. "I chose artists whom I felt had a similar visual approach to art as Green Day does to its music," said Hicks, a stencil artist and die-hard punk-rock fan, whose portraits of band members Billie Joe Armstrong, Tre Cool, and Mike Dirnt will also be on display. "Although most of the artists represented are well-established in their careers, they embrace the same emotional rawness with their art, which speaks from the heart and swings with the fist. "Their subject matter is struggle and injustice -- they shoot from the hip and their art is their weapon." A number of the participating artists were featured with Hicks in Banksy's "Cans Festival" which took place last year in an abandoned taxi tunnel behind Waterloo Station and attracted over 120,000 people on opening weekend. This just in! The music video for East Jesus Nowhere. Best Rock Video - "21 Guns"
IdiotClub.com just posted 20 exclusive photos from the set of 21st Century Breakdown the video. They are gorgeous! Check 'em out: here. Green Day, Kings Of Leon, Paramore Turn It Up To 11 For Best Rock Video: Better Know A VMA Category @ MTV: here. Green Day's Official Fan Club is letting fans interview 2 crew members from the current tour, Micah Chong and Kenny Butler: here. Check out the new items in our online store! Here! 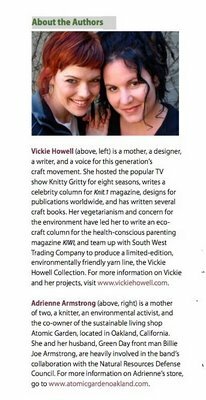 News from Vickie Howell's blog: "AwareKnits, the eco-conscious knitting & crochet book I co-wrote with Adrienne Armstrong, is now available for pre-sale here! 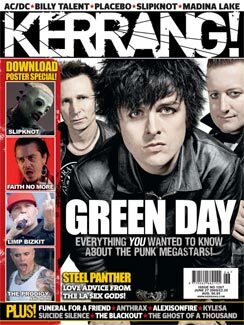 GreenDay.com just posted a picture of the new KERRANG! Mag, out today. 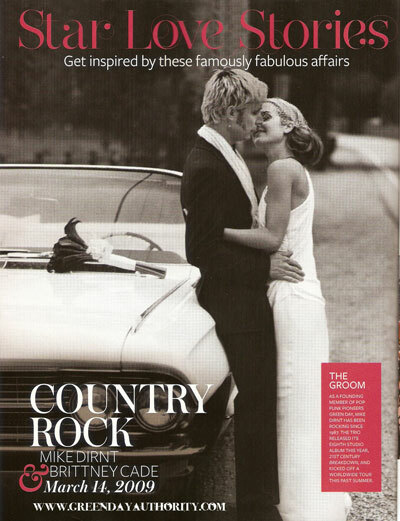 Look for Mike Dirnt and his wife in the new In Style magazine! Green Day musical extends run @ Variety.com: here. 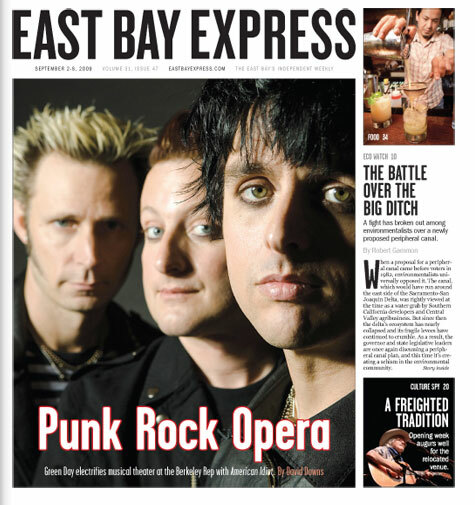 Green Day featured on the cover of Easy Bay Express: HERE. 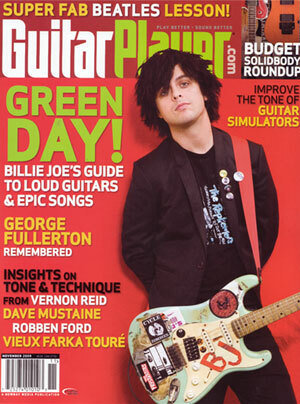 Billie Joe is featured on the cover of the November issue of Guitar Player Magazine. Look for an interview with Billie Joe and Jason White inside! Newly political Green Day ready for next stage @ SF Gate: here. Green Day ends tour with exemplary arena show @ Reuters here. Green Day performs its last gig on the US leg of the tour tonight in Los Angeles, CA @ The Forum. IdiotClub.com got their hands on pairs of tickets for Monday's gig in Sacramento, CA on Monday. You can get them by filling out a form on IdiotClub.com. Green Day's "21 Guns" is #1 today on VH1's Top 20 Countdown! New pictures were just posted on GreenDay.com from San Jose! Green Day in San Jose @ Mercury News: here. 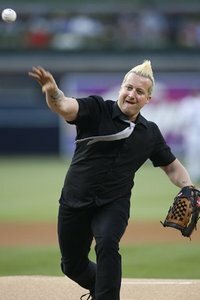 Green Day packs a pyrotechnic punch @ Deseret News: here. GreenDay.com posted pictures from last nights gig in Salt Lake City: here. Idiotclub.com is having a conest where you can win tickets to American Idiot the musical on Spetember 17th or 18th. Check it out: here. GreenDay.com posted new photos from last nights gig in Kansas City: here. MTV VMA Voting ends Friday, August 21st. Make sure to vote as many times as you can!!! Multiple votes count! Vote Green Day's 21 Guns for BEST ROCK VIDEO at the 2009 Video Music Awards: HERE. Idiot Club members have exclusive first access - today - to seats for the world premiere of the stage version of American Idiot, starting September 4 at the Tony Award-winning Berkeley Repertory Theatre in Berkeley CA. As you know, Green Day won two Grammys for its multi-platinum album American Idiot, which sold more than 12 million copies worldwide. Now those searing songs seize the stage with the director behind Spring Awakening, the groundbreaking musical that earned eight Tony Awards and enthralled audiences from coast to coast. This high-octane show features every track from the album, plus several new tunes from Green Day's newest release, 21st Century Breakdown. With an on-stage band and a cast of 19, American Idiot will take you on an exhilarating journey borne along the band's electrifying songs. You must click through to Berkeley Rep's Idiot Club web page to take advantage of this limited-time offer. Act now - online sales open up to the general public this Friday! New York, NY (July 30, 2009) -- MTV is taking over New York City and breaking down the walls as Green Day and P!nk are set to perform at the "2009 MTV Video Music Awards." Grammy Award® winning rockers Green Day return to the VMAs stage to perform a hit off their latest album, 21st Century Breakdown. After an explosive performance at last year's show, P!nk is determined to top herself this time around with a song from her multi-platinum selling album Funhouse. In addition, Katy Perry, Ne-Yo and Gossip Girl's Chace Crawford are the first presenters confirmed for the show. As previously announced, Russell Brand will host and Taylor Swift and Muse are set to perform. 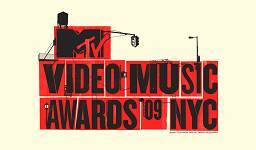 The "2009 MTV Video Music Awards" will air live on Sunday, September 13, 2009 at 9PM (Live ET/Tape delayed PT). Additional performers, nominees and presenters will be announced at a later date. "We are excited to be performing at the Video Music Awards," says Green Day's Billie Joe Armstrong. "You never know what's going to happen, and it's always a memorable experience for us." Three songs from 21st Century Breakdown - including "21 Guns," "Know Your Enemy" and "East Jesus Nowhere" - are currently available to Rock Band™ owners for download. The Green Day tracks are the first in an exclusive partnership between MTV Games, Harmonix and Warner Music Group's Green Day to bring the band's songs to the Rock Band™ platform as downloadable content. From performer announcements to rehearsal details, fans will be the first to know all the VMA news by following the "insideMTV" twitter account at twitter.com/insidemtv. There will be exclusive tweets, videos and photos posted leading up to and throughout the big show. Additionally, Verizon Wireless customers will be able to sign up for VMA text alerts by texting VIP to 8911 to receive VMA news and behind-the-scenes action delivered directly to their Verizon Wireless phones. MTV has once again tapped Jesse Ignjatovic/Den of Thieves to executive produce this year's "MTV Video Music Awards." Jesse and Den of Thieves, which he launched in 2007, have a slate of shows debuting this year including "The T.O. Show" on VH1 and "Peak Season" on CTV/MTV Canada. Ignjatovic spent many years as Vice President of Music & Talent Development, creating, executive producing shows like the GRAMMY® award winning "MTV Ultimate Mash-Ups" featuring Jay-Z/Linkin Park, J Lo's "Dancelife," Snoop Dogg's "Doggy Fizzle Televizzle," Meet The Barkers," and "MTV Icon." Jesse recently executive produced Russell Brand's first U.S. comedy special, "Russell Brand in New York City," for Comedy Central. Jesse Ignjatovic/Den of Thieves is the Executive Producer, for the "2009 MTV Video Music Awards." Dave Sirulnick is Executive Producer. Garrett English is co-Executive Producer/Executive in Charge of Production. Amy Doyle is co-Executive Producer. Joanna Bomberg is Executive in Charge of Music and Talent. Jen Jones is Producer. Hamish Hamilton is Director. Robin Reinhardt-Locke is Celebrity Talent Executive. Official sponsors of the "2009 MTV Video Music Awards" are 5 ® Gum, Febreze, Pepsi, Rhapsody ®, Sears, Taco Bell ®, U.S. Army and Verizon Wireless. The "2009 MTV Video Music Awards" will be available to a potential viewing audience of more than 1.2 billion people via MTV's global network of 68 channels reaching 577 million households around the world as well as through syndication. In addition, its convergent programming & content will reach the entire interactive community, via MTV's more than 200 digital media properties around the world. GreenDay.com posted pictures from XBOX's Game with Fame event: here. Green Day makes rebellion look fun at Madison Square Garden @ NewsDay: HERE. 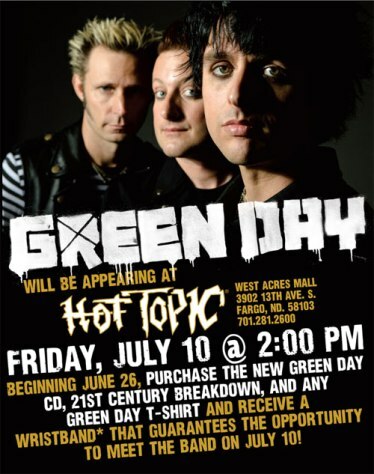 BURBANK, Calif.--(BUSINESS WIRE)--Green Day have a special treat in store for fans attending their U.S. tour this summer. A roving art gallery will be set up at each venue to display work by a collection of eclectic artists from around the world, each of whom has been asked to create an original piece inspired by a track on Green Day's new album 21st Century Breakdown. The show is curated by New York-based stencil artist and die-hard punk-rock fan Logan Hicks, whose portraits of band members Billie Joe Armstrong, Tre Cool, and Mike Dirnt will also be on display. A passionate art and music lover, Hicks has assembled an impressive group of noted artists - including world-renowned New York-based painter Ron English, Amsterdam-based street artists The London Police, French stencil artist C215, and British illustrator Will Barras - to show the connection between music and art. 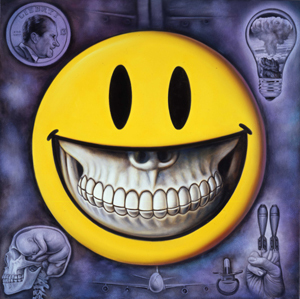 "I chose artists whom I felt had a similar visual approach to art as Green Day does to its music," Hicks says. "Although most of the artists represented are well-established in their careers, they embrace the same emotional rawness with their art, which speaks from the heart and swings with the fist. Their subject matter is struggle and injustice-they shoot from the hip and their art is their weapon." "We are really excited to be touring with this incredible show," says Armstrong. "Seeing the pieces that our new album has inspired is very exciting. Many of the artists Logan has chosen show their work on the street, and we feel a strong connection to that type of creative expression. We think the fans coming out to see us on the road will love it." 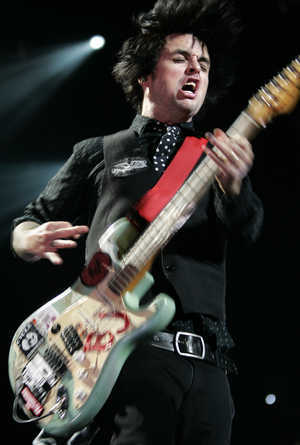 Green Day's 2009 trek is the band's first proper tour of the United States and Canada in more than three years. The tour began July 3rd at Seattle's Key Arena and will cross North America through the summer, including a July 27th stop at New York City's Madison Square Garden before finishing up with a show at the Forum in Los Angeles on August 25th. Please visit http://www.greenday.com/ for all cities, venues, and ticket on-sale dates. Read the full press release and list of artists featured in the show: here! 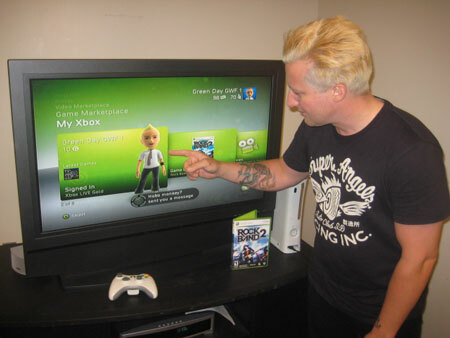 Legendary American rock band Green Day has just released their latest album, 21st Century Breakdown, and they're taking a break to play Rock Band 2 with Xbox LIVE® Gold Members. 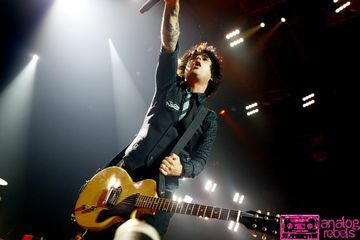 GreenDay.com posted new photos from last nights gig in Boston: here. Green Day punks Garden @ Boston Herald: here. 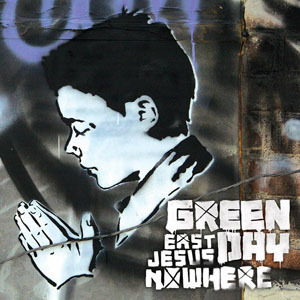 A Street Art project for Green Day @ StencilHistoryX.com: here. GUITAR HERO MOVE OVER, LET GREEN DAY PLAY @ Ottawa Citizen: here. GreenDay.com just posted a bunch of great new photos from last nights show in Ottawa, ONT. 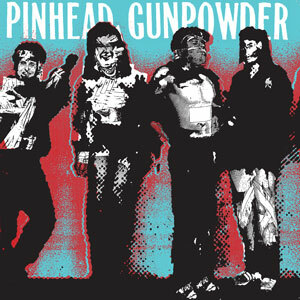 Billie Joe's side band, Pinhead Gunpowder released a collection of their favorite songs on Recess Records last week. More info: here. 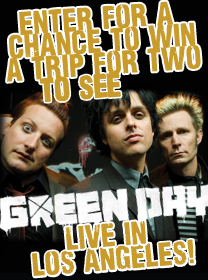 Want to see Green Day in Las Vegas? Just download MobiTV or MobiVJ and You'll automatically be entered to win a paid trip to Las Vegas, including 2 tickets to the show. To enter, text GREENDAY to 43888 and download MobiTV or MobiVJ now through July 31st. Winners will be announced on August 5th. Green Day Fans have the live of their lives in Fargo @ GrandFolksHerald: here. The Chicago Transit Authority will operate the #19 United Center Express buses for the Green Day concert on Monday, July 13 at 8pm. For details about all CTA service, call 836-7000 (all local area codes) or visit the CTA Web site at transitchicago.com. 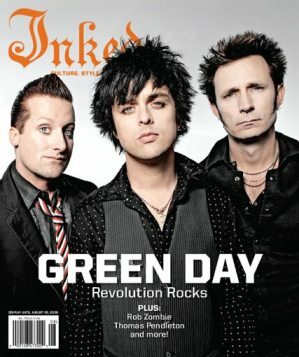 Green Day on the cover of inkedmagazine.com. Burbank, CA - Reprise Records' Green Day launched their North American tour with a bang over the holiday weekend with shows in Seattle on July 3rd and Vancouver on July 4th and the rave reviews are pouring in. Take a look at what critics are saying about the first two shows on the multi-platinum band's first proper tour of the United States and Canada in more than three years. Rolling Stone: "as if releasing a wave of energy that had been building up during their four-year hiatus from touring, Green Day poured all their heart and soul into a powerhouse two-hour set." SPIN: "The band's relationship with its audience is disarmingly real, a cross-generational give-and-take that's as punk as any Gilman Street scroungers today." Seattle Times: "There are few bands that can hold an audience from the front of the stage to the bleeders the way Green Day can." Seattle Weekly: "Green Day is clearly a band intent on giving people their money's worth and thoroughly enjoying themselves in the process, which are ultimately the most important ingredients for a satisfying arena rock show." The Province: "Full points to the production values on this baby. Constant 'statement' visual montages played across the giant rear screen all night. A never-ending array of drum-triggered strobes and follow spots galore did exactly what good stage design should: It made everything epic." Vancouver Sun: "This reviewer's throat felt like grated up mozzarella by the end of that final encore, it was worth every single holler. Every single yelp and whistle. Every ear-splitting minute of it. It was an awesome Independence Day show, f-bombs, fireworks, punk 'tude, anthems and all." Green Day, which is singer-guitarist Billie Joe Armstrong, bassist Mike Dirnt, and drummer Tre Cool, are touring in support of their eighth studio album 21st Century Breakdown, which has recently been certified gold by the R.I.A.A. Produced by Butch Vig, 21st Century Breakdown was released by Reprise Records on May 15th, 2009, and debuted at No. 1 on the Billboard Top 200 chart, as well as on the Rock, Active Rock, and Alternative charts. 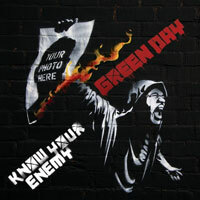 The album, which has already spawned the Alternative radio hit singles "Know Your Enemy" and "21 Guns," also topped the charts in 24 countries including the UK, Canada, and Japan. Green Day's tour will cross North America through the summer, including a stop July 27th and 28th at New York City's Madison Square Garden, before finishing up with a show at the Forum in Los Angeles on August 25th. Please visit http://www.greenday.com/ for more information. Vote Green Day's 21 Guns video on VH1's TOP 20 Video Countdown: HERE. Green Day breaks it down at GM Place @ Vancouver: here. GreenDay.com just added a whole mess of new photos from the first 2 shows! On Saturday July 11th at 7pm, Fuse will premiere a one hour special on Green Day, combining an exclusive interview with the band's most memorable videos! Green Day is back! This exclusive interview special takes you up close and personal with Green Day and gives you the inside track on 21st Century Breakdown and all the latest happenings with the band. In addition, Green Day's most memorable video moments will be highlighted in this unique special. An all-day block of Green Day programming will air leading up to the premiere of the special on July 11th, so be sure to tune in! Fuse's Green Day Special will encore at 10pm on 7/11 and then repeat throughout July and August. Plenty of opportunity to catch it again and again! 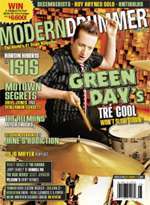 Tre Cool is on the cover of the new MODERN DRUMMER magazine out July 7th! Green Day's 21st Century Breakdown is Certified Gold by the R.I.A.A. BURBANK, Calif.--(BUSINESS WIRE)--21st Century Breakdown, the latest studio album from Reprise Records' Green Day, has been certified gold by the Recording Industry Association of America. The album was released by Reprise Records on May 15th, 2009, and debuted at No. 1 on the Billboard Top 200 chart, as well as on the Rock, Active Rock, and Alternative charts. 21st Century Breakdown, which Rolling Stone has called "a rock opera in which the rock always comes first," also topped the charts in 24 countries including the UK, Canada, and Japan. 21st Century Breakdown is the Bay Area, CA, punk-rock band's ninth gold album in the U.S. including 1992's Kerplunk, 1994's Dookie, 1995's Insomniac, 1997's Nimrod, 2000's Warning, 2004's American Idiot, as well as two compilation albums: 1991's 1,039/Smoothed Out Slappy Hours and 2001's International Superhits! Five of those albums went on to platinum and multi-platinum status. Green Day, which is singer-guitarist Billie Joe Armstrong, bassist Mike Dirnt, and drummer Tre Cool, are set to launch their first proper tour of the United States and Canada in more than three years. The tour runs from July 3rd through August 25th. 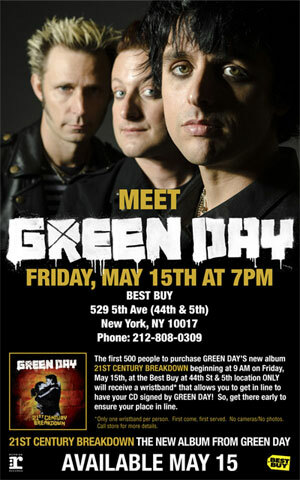 Please visit www.greenday.com for more details. Also they are on the cover of the new EQ Magazine, don't miss these great articles! PREMIERE OF 21 GUNS VIDEO! In 2004 Green Day unleashed American Idiot on the world. A boundary smashing, genre confounding work of art, American Idiot changed the face of music, welcoming a new generation of music fans to the cult of Green Day. In 2009 Green Day returned to stamp their authority on the music world releasing 21st Century Breakdown. Hailed as the jewel in an already impressive crown, 21st Century Breakdown has confirmed Green Day's status as one of the greatest rock bands in the world. This Saturday June 20th is the first ever Record Store Day Presents : VINYL SATURDAY! To celebrate and support our indie retailers we're releasing a limited edition "Know Your Enemy" 7'' single. It includes "Know Your Enemy" and "Hearts Collide", an unreleased track! Quantities are limited, so stop by your favorite indie music store this Saturday for VINYL SATURDAY! Click here for more info and participating stores. Congratulations to Green Day being nominated for 3 Teen Choice Awards- Choice Music: Rock Group, Choice Music: Rock Track for 'Know Your Enemy' and Choice Music: Album for '21st Century Breakdown'! VOTE now to show your support then be sure to tune in to the 2009 Teen Choice Awards on Monday, August 10th at 8pm ET/PT on Fox. News from The Official Green Day Idiot Club, the 21 GUNS VIDEO PREMIERE will be this Sunday on Myspace.com at 9pm PST. 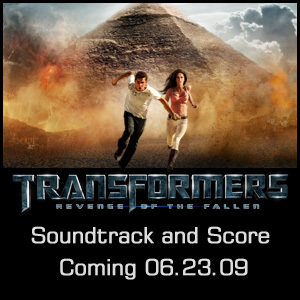 Green Day's 21 Guns featured on upcoming Transformers 2 soundtrack! The Foxboro Hot Tubs performed Friday night on Last Call with Carson Daly, check it out! 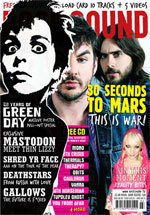 Vote Green Day for Best Live Band, Best Single, Best Album, Best International Band, and Best Video at the 2009 KERRANG! Awards: here. You are also entered to win a trip to attend the event LIVE! New York, NY - June 11, 2009 - MTV Games' Harmonix Music Systems, a part of Viacom's MTV Networks (NYSE: VIA, VIA.B), the leading developer of music-based games, announced an extraordinary partnership with Warner Bros. Records and Green Day today to bring the music of multi-platinum, Grammy® Award winning Green Day, exclusively to Rock Band ®. Green Day's Billie Joe Armstrong, Mike Dirnt, and Tre Cool are the latest artists to bring songs from their impressive catalogue of hits to MTV's genre defining, multi-million selling Rock Band® music video game platform that allows music fans and gamers to interact with and discover music like never before by choosing guitar, drums, vocals, or bass to start a band and rock the world. The first selection of Green Day songs to arrive on Rock Band as downloadable content will be a three-pack of songs from their latest release, 21st Century Breakdown on July 7th including: 21 Guns, Know Your Enemy, East Jesus Nowhere. Additional Green Day songs and projects will be announced at a later date. "Green Day not only rock hard, but are also epic storytellers," said Van Toffler, President, MTV Networks, Music, LOGO and Film. "Their message and their music have been the voice and sound of this generation. The addition of Green Day is a huge victory for MTV and our audience, and marks another landmark in our efforts to bring the best artists to Rock Band." "We are excited to be working with MTV and Harmonix," said Green Day's Billie Joe Armstrong. "They are leaders and visionaries in the world of music and video games, and Rock Band is a really cool way for fans of all ages to experience our music." "Green Day's epic music and incredible live performances put them in a class by themselves. Bringing Green Day and Rock Band together unites two extremely powerful forces to create a great music game experience for their fans," said Tom Whalley, Chairman/CEO, Warner Bros. Records. "This unique deal with MTV creates a true partnership with Green Day, Reprise and Harmonix as we embark upon the next great era of Green Day." "It's awesome that one of greatest bands on earth is coming to the Rock Band platform," said Paul DeGooyer, SVP, Electronic Games and Music, MTV. "Green Day is a longtime favorite of the Harmonix team, and we're very excited to provide a new way for their fans to connect with them, while at the same time helping put this incredible music in front of a whole new audience." Selling nearly 50 million records worldwide, Green Day has won critical acclaim and numerous accolades including three Grammy® Awards for Best Alternative Album for Dookie, Best Rock Album for American Idiot, and Record of the Year for their smash hit "Boulevard of Broken Dreams". Green Day recently released their eighth studio album, 21st Century Breakdown, on Warner Music Group's Reprise Records. The album debuted at No. 1 on the Billboard Top 200 chart, as well as on the Rock, Active Rock, and Alternative charts, fueled by the Alternative radio No. 1 single "Know Your Enemy." 21st Century Breakdown, which Rolling Stone has called "a rock opera in which the rock always comes first," is also a hit around the world topping the charts in 24 countries including the UK, Canada, and Japan. Green Day - vocalist/guitarist Billie Joe Armstrong, bassist Mike Dirnt, and drummer Tre Cool - were three kids from working-class backgrounds who came of age in the underground punk scene in Berkeley, California. Even though they had released two records prior (1039 / Smooth Out Slappy Hours and Kerplunk), they announced their arrival with 1994's Dookie, a blast of punk-pop that spoke to bored teenagers everywhere. The album eventually sold 15 million copies worldwide, earned the band their first Grammy Award and inspired a raft of imitators. 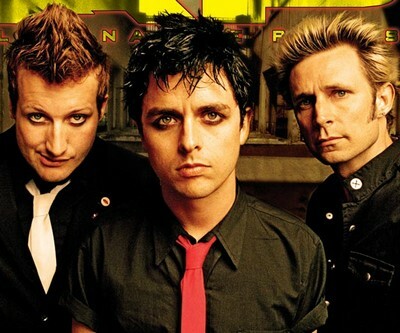 Over the years, Green Day continued to top the charts with their subsequent studio albums Insomniac, Nimrod, and Warning while entertaining millions of fans with their frenetic live shows. But it was their landmark 2004 album American Idiot that launched Green Day into the stratosphere. An artistic leap forward, American Idiot is a punk rock opera and sarcastic middle-finger salute to the Administration that captured the cultural and political landscape at that time. "Jesus of Suburbia" set the tone by telling a tale of choosing between self-destruction and redemption that resonated with listeners of all ages, nationalities, and political persuasions. American Idiot debuted at No. 1 on the Billboard chart and went on to sell more than five million copies in the U.S. and 12 million worldwide. It spawned five hit singles, earned seven Grammy nominations (winning two including Rock Album of the Year) and raised the bar for modern rock and roll. Originally launched on November 20, 2007, Rock Band is the ground-breaking, billion dollar selling franchise1 and music video game leader in paid song sales (over 45 million paid individual songs) and downloadable content with more than 700 tracks available to date via disc and download purchase (complete list of tracks at www.rockband.com/music). Rock Band and Rock Band 2 are available for Xbox 360, PLAYSTATION 3 system, PlayStation 2 system and Wii. 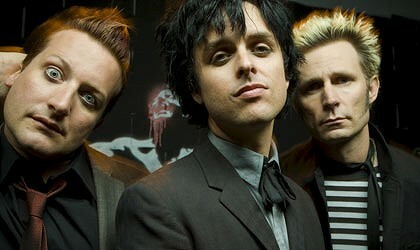 For more information on Green Day, please visit www.greenday.com and www.warnerbrosrecords.com. Posted by Russ Frushtick on 6/10/09 at 12:21 pm. Harmonix and MTV Games showed off "The Beatles: Rock Band" in MTV's Times Square headquarters yesterday, and we thought it would make for a good opportunity to ask about the the oft-rumored, basically-confirmed-but-not-quite release of "Green Day: Rock Band." Watch John Drake, a spokesman for Harmonix, deftly dodge the question, but it's pretty obvious that we'll be hearing about the game very soon. Look for Green Day to perform on Last Call with Carson Daly this Tuesday-Friday on NBC! Green Day shakes and shouts @ LA Times: here. Green Day will be hard at work tomorrow in Los Angeles, filming their video for the upcoming single "21 Guns" with director Marc Webb. Don't forget to watch or record Green Day on the Tonight Show with Conan O'Brien tonight on NBC June 2nd!!! Look for Green Day to perform on the MTV JAPAN Awards this Saturday! VIVA LA GLORIA, a blog by Howie Klein, former President of Reprise Records: here. Green Day on David Letterman Tonight! 21st Century Breakdown is in stores today!!! The Colbert Report - May 21st. Late Night With David Letterman - May 22nd. Green Day Fans Flock To NYC To Meet The Band @ MTV: here. 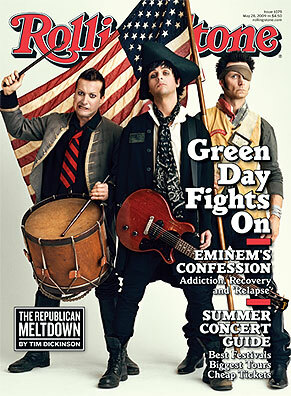 Green Day is on the cover of the new issue of ROLLING STONE. Get it now! MTV News Raw @ MTV: here. Green Day's IDIOT CLUB will have pre-sales for these shows today! MTV posted their first interiew with Green Day in 1994: here. Green Day On 21st Century Breakdown: 'We're Capable Of Doing Anything''We just wanted to evolve naturally,' frontman Billie Joe Armstrong says of new LP. @ MTV: here. For the first time ever, Green Day will be performing an exclusive show for their IDIOT CLUB members at New York's Bowery Ballroom on May 18th. This is the show you have been waiting for, join your fellow IDIOT CLUB members for a performance you will never forget! Head over to www.idiotclub.com and get more info! Green Day are proud to announce their third supporting act on their upcoming US tour will be THE BRAVERY. THE BRAVERY will hit the road with Green Day from July 3rd - July 25th. Stream the entire new album NOW! The first 500 people to purchase "21st Century Breakdown" beginning at 9 AM on Friday May 15th at the Best Buy at 44th St & 5Th location ONLY will receive a wristband* that allows you to get in line to have your CD signed by GREEN DAY! So, get there early to ensure your place in line. *Only one wristband per person. First come, first served. No cameras/No photos. Call store for more details. To purchase tickets click: here. Tickets will be $49.50 each with a 2 ticket max. Don't forget tomorrow you can stream the entire new album at Rhapsody and VH1! From GreenDay.com: Green Day are proud to announce their second supporting act on their upcoming US tour will be FRANZ FERDINAND. Franz Ferdinand will hit the road with Green Day from August 8th - August 26th. New interview at IGN: here. Watch exclusive live videos from the recent show at The Fox Theater in Oakland, CA as well as interviews with the band at Comcast.net/music/greenday! Green Day filmed an episode for "Live at Abbey Road" for the Sundance Channel. Look for future air dates: here. 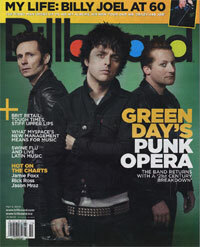 Look for Green Day on the cover of the new issue of Billboard Magazine, out now! Kerrang! 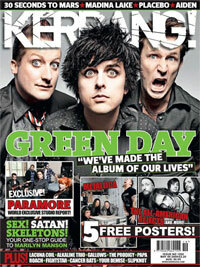 Magazine features Green Day in the upcoming issue, don't miss it! Green Day are playing live in Central Park on Friday, May 22nd as part of ABC's "Good Morning America." If you want to see them, just go to Rumsey Playfield via the 69th street entrance on Fifth Avenue at 6:00am when the park opens to the public. Check out a live performance of six new songs from Green Day's upcoming album, 21st Century Breakdown, captured specifically for Verizon customers during an exclusive recording session on April 24, 2009, at Studio 880 in Oakland, Calif. The full-length set of new music, includes, 21st Century Breakdown, Know Your Enemy, East Jesus Nowhere, Last of the American Girls, Murder City and 21 Guns. The first-ever, continuous V CAST Video stream gives fans an exclusive 24-hour window to watch the premiere of these songs from beginning to end on their wireless phones. The continuous video stream can be found on V CAST-capable phones at V CAST Video/Music/Green Day Special. 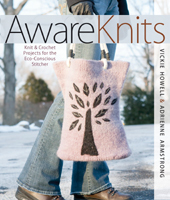 Vickie Howell teams up with activist-knitter Adrienne Armstrong to present a groundbreaking volume that's part pattern book and part crafty call to action. They offer 31 stylish projects that use a variety of organic, recycled, and "green" yarns, including ones made from soy, corn, and hemp. More @ Lark Books: here. Green Day announced, THE KAISER CHIEFS would be one of the opening bands on their upcoming tour July 27th - August 7th. Rhapsody will start streaming "21st Century Breakdown" on May 8th. More info: here. The Morning After 'American Idiot' @ NY Times: here. This Monday the 4th, radio stations around the US and Canada will begin to broadcast a Green Day radio special, featuring 7 songs from the new album, along with an interview with the band. The broacast window for this event is Monday the 4th through Thursday the 14th, so check your local station's website to see if they're a part of this event, and check out the list of songs below! International Film Channel's series, "Media Project" is back with an all new season 2. The trailer features Green Day's upcoming track, "21st Century Breakdown": here. Win a Mike Dirnt signature bass guitar @ iconvsicon.com: here. 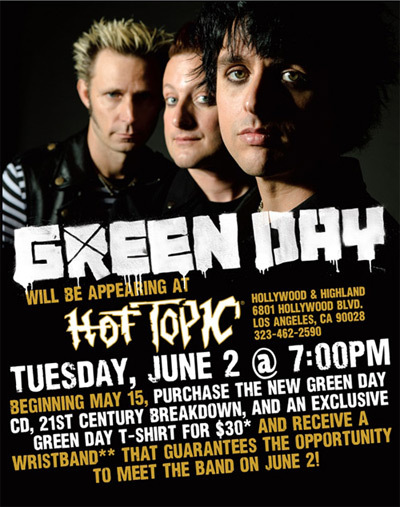 Win a trip to see Green Day in Los Angeles @ Hottopic.com: here. 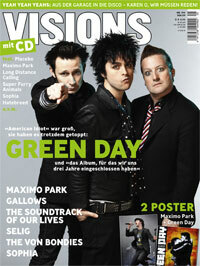 Check out Green Day on the cover of German Magazine, Visions. Rolling Stone gives "21st Century Breakdown" 4.5 / 5 stars: here. "Know Your Enemy" CD Single Available Now! The contest ends on 5.15.09, the day the record comes out, so get started now. Burbank, CA - Reprise Records' Grammy® Award-winning rock band Green Day will hit the road for their first European tour since 2005 beginning on September 28th, 2009, in Lisbon, Portugal. The tour, which launches after the band complete the first leg of their North American tour in August, will criss-cross Europe through the fall and finish up with a show in Turin, Italy, on November 12th. Green Day are touring in support of their long-awaited eighth studio album 21st Century Breakdown, which will be released globally by Reprise Records on Friday, May 15th, 2009. Singer-guitarist Billie Joe Armstrong, bassist Mike Dirnt, and drummer Tre Cool have been at work writing, arranging, and recording 21st Century Breakdown since early 2006 with producer Butch Vig (Nirvana, Smashing Pumpkins). The first single, "Know Your Enemy" was released globally to radio and digital retailers on April 16th. 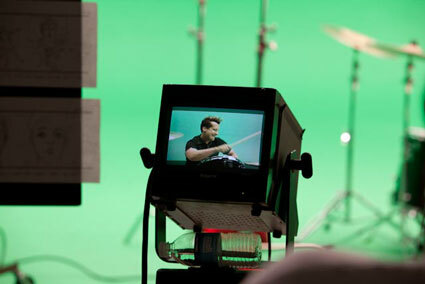 The video premiered globally, including on MTV and VH1's international channels, on April 24th. Green Day recently performed 21st Century Breakdown in its entirety during a series of warm-up club shows for hometown fans in California's Bay Area. In its review of a show at Oakland's Fox Theater, U.S. magazine Rolling Stone commented that the band, augmented by guitarists Jason White and Jeff Matika, and keyboardist Jason Freese, had the "Quadrophenia-like hang of 21st Century Breakdown 's classic rock melodies and lifetime-punk drive down solid" and that the album is "rock opera in which the rock always comes first." "21st Century Breakdown is Green Day's best album," the reviewer concluded, "and at the Fox, they proved that the rock opera can be as punk as a Clash 45." 21st Century Breakdown is Green Day's first studio album since 2004's two-time Grammy Award-winning punk-rock opera American Idiot, which went to No. 1 in nine countries (including the U.S., Canada, the U.K., Ireland, and Australia), spent six weeks atop the European chart, spawned five hit singles, and went on to sell more than 12 million copies worldwide. Check out the "Know Your Enemy" video premiere right here! On May 15th, 10 people will be pulled at random from Green Day’s mobile list to win a limited special edition copy of “21st Century Breakdown”, which includes three 10” vinyl with each act from the album, plus a 60 page book of special artwork. If you haven’t already signed up to the list, click here. This is for US residents only. And if you haven’t ordered it yet, click here to pre-order the special edition! Green Day are featured on the cover of the New NME Magazine! Don't miss it! Green Day have announced that they will hit the road for their first proper tour of the United States and Canada in more than three years beginning July 3rd in Seattle, WA. The first leg of the tour will cross North America through the summer and finish up with two shows in Los Angeles on August 26th. 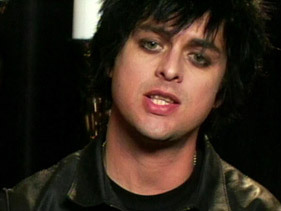 Billie Joe recently got interviewed by AOL.com, check it out here. Green Day are ongoing supporters of Hollywood for Habitat for Humanity and have once again donated to an auction to benefit Habitat families. Bid here on a cool Epiphone guitar and 100% of proceeds benefit Habitat families in need. While you're listening to the single and waiting for the new album to arrive, you can make a difference by supporting this cause that is important to the band. And win a killer guitar! Click to bid: here. "Know Your Enemy, " the first single off of Green Day's upcoming album "21st Century Breakdown" is now available worldwide at all digital retailers. You can buy the single at iTunes: Here! Green Day's 'Know Your Enemy' Video: Exclusive Behind-The-Scenes FootageClip will make its worldwide premiere on April 24 across MTV's networks, Web sites. More @ MTV: here. GreenDay.com posted the lyrics to all of the songs on "21st Century Breakdown"! Check them out: here. Green Day announced through the Idiot Club that they would be performing this Tuesday at the Fox Theater in Oakland, CA. Tickets are available to Idiot Club fans: here. They will also be on sale starting tomorrow after 5pm PST: here. Green Day played another last minute show in San Francisco, CA last night at the DNA Lounge. Tickets were given out exclusively through the bands Official Fan Club: here. 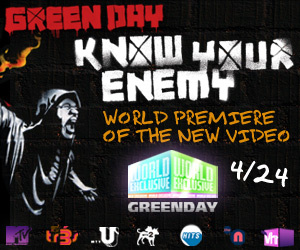 Green Day to Release "Know Your Enemy" on April 16th, 2009 @ Yahoo.com: here. Green Day preview new album at Secret Show! @ SPIN: here. At a surprise "band practice" in San Francisco, the pop-punk band play their upcoming album for 500 hundred lucky fans! The opening tease of CBS Sports' 2009 NCAA Division I Men's Basketball Championship Game on Monday, April 6 (9:00 PM, ET) will feature :90 seconds from the song "Know Your Enemy," the first single from the long awaited new album 21st Century Breakdown, due out Friday, May 15th, from Grammy® Awarding winning band Green Day. Green Day Give a Glimpse Into Their 'Breakdown' -- Exclusive Photos @ Spinner.com: here. 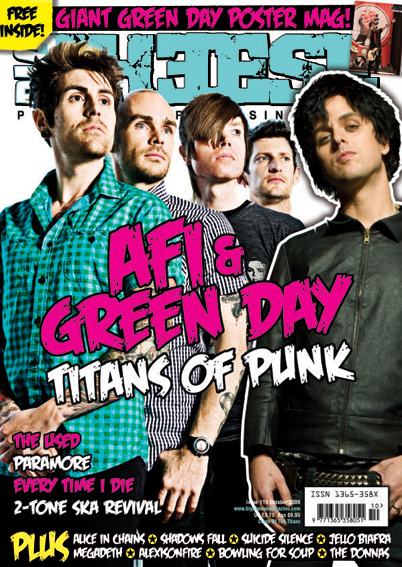 EW talks to Billie Joe about American Idiot, 21st Century Breakdown, and more: here. MAKE SURE YOU JOIN THESE SOON! DON'T MISS OUT! 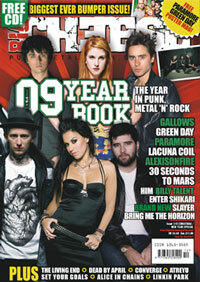 Green Day are featured in the new issue of Rock Sound Magazine, order it: here. Green Day Director Reveals Details Of 'Know Your Enemy' Video 'It's still Green Day, but it's just bigger,' Mathew Cullen says of the clip, which debuts April 24 on MTV @ MTV.com: here. 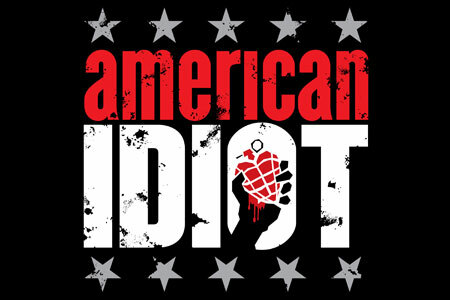 Michael Mayer and Green Day Create American Idiot Musical, to Bow in California @ Playbill.com: here. If you haven't added the OFFICIAL Green Day Myspace page to your friends, add it: here. Green Day is on the cover of the new issue of UK music magazine "Q Magazine" More info and pictures from the studio: here. Green Day will be performing on the 2009 Japan MTV MUSIC AWARDS (May 30th) according to a GreenDay.com posting today. 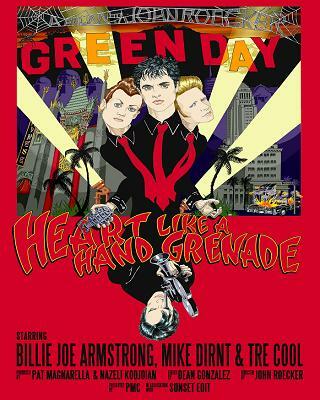 DJ Ross Star interviewed Director John Roecker who's "HEART LIKE A HAND GRENADE" documentary following around Green Day in the studio during their recording of American Idiot. Look for the interview to be posted: here. Green Day reissue entire catalog on vinyl @ SPIN: here. Enter to win tickets if you live in the Los Angeles area at the Idiot Club: here. Habitat For Humanity is auctioning off an autographed Green Day hard hat at http://www.clothesoffourback.org/habitat. Check it out! 100% of money earned benefits Habitat for Humanity families. 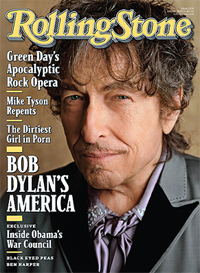 New issue of Rolling Stone Magazine is in stores now! It has a 2 page spread on Green Day in the studio with writer David Fricke. Don't miss it! GreenDay.com just posted a bunch of new banners! check them out: here. Green Day’s New Album “21st Century Breakdown” Due in May : here. GreenDay.com just posted an image of the new album cover!!!! Check it out: here. 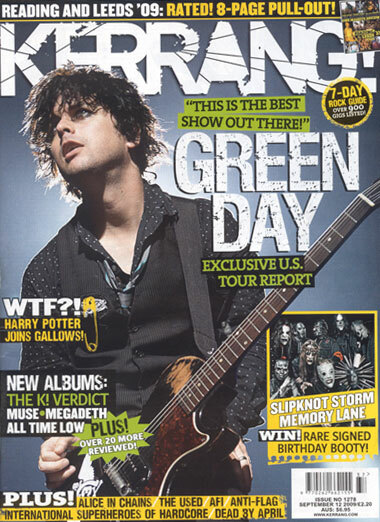 "Coming in May 2009 GREEN DAY'S NEW ALBUM "21ST CENTURY BREAKDOWN"
From this (Green) Day forward @ USA Today: here. Long-awaited album's title is subtly announced at Grammy Awards @ MTV: here. 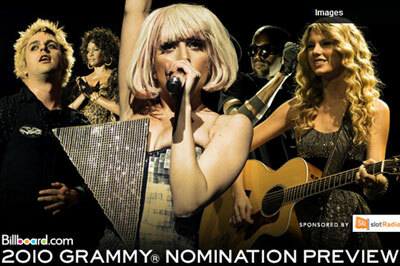 Don't miss the GRAMMY AWARDS tonight at 8pm on CBS. More info: here. Watch the pre-show online at 4pm ET / 1pm PT: here. Check out the new BIG CHEESE MAGAZINE! Order: HERE. 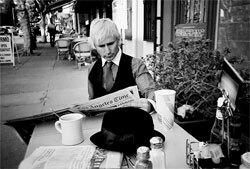 New pictures of Mr. Mike Dirnt at Photographer Ryan Russell's website: here. They were taken for a Macbeth footwear shoot recently. Billie Joe Armstrong: Although Green Day’s Armstrong didn’t start out on a Les Paul, these days you can see him sporting his own signature edition of the Les Paul Junior. However don’t let the diminutive nature of Armstrong’s axe convince you that his tone is any less aggressive than his peers, because listening to the band’s opus American Idiot, it’s clear that the exact opposite is true. Green Day’s next album will reportedly be out next summer and we can’t wait to see what Armstrong is able to pull off with a little help from his Les Paul Jr. More @ Gibson.com: here. Green Day friends, The Bouncing Souls are releasing a new DIY album in 2009. The first track is currently posted on their website and you can expect a new one on the first of each month. Check 'em out: here! Our Wish List For Blink-182, Linkin Park And More Rockers In 2009 @ MTV ASIA: here. It's not like we're complaining. This year is already shaping up to be a pretty solid one, what with new albums expected from U2, Green Day, Paramore, My Chemical Romance, Tokio Hotel and Mastodon. 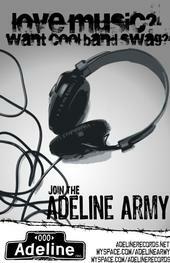 Adeline Record's BROADWAY CALLS just signed to Sideonedummy Records! Read the press release: here. GreenDay.com just posted a way to get txt messages with the latest breaking Green Day news! Sign up below! US cell phones only. Green Day of the Year @ Detroit News: here. 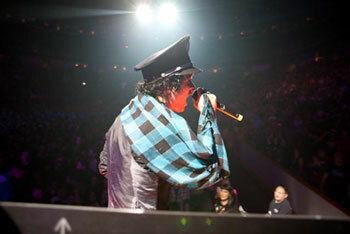 Foxboro Hot Tubs, "Stop Drop and Roll!!! ": While the world eagerly awaits the follow-up to 2004's "American Idiot" -- one of the decade's essential recordings -- Green Day sneaked out this playful collection of '50s-style garage rockers, under the pseudonym Foxboro Hot Tubs.